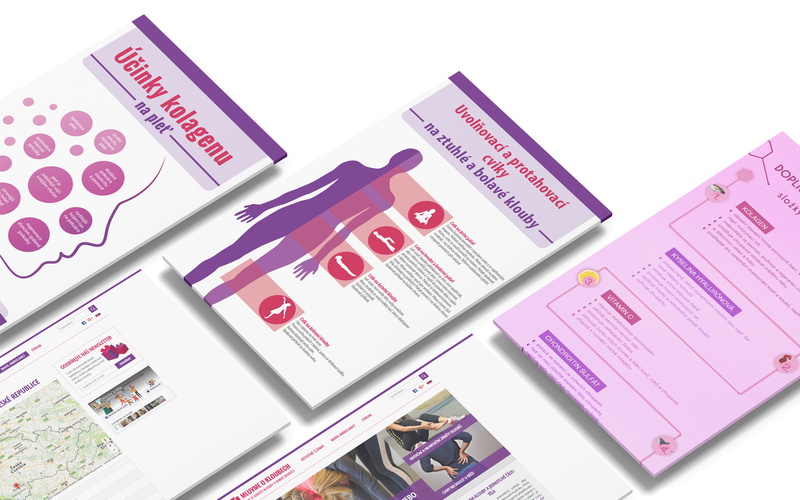 Creating the original portal hovormeoklboch.sk (also available in the Czech language) dedicated to the prevention and treatment of joint diseases and building an active community of more than 7,000 people for Dacom Pharma, a manufacturer of nutritional supplements for joints. Our cooperation with the Czech company Dacom Pharma began in 2015 when we developed the portals hovormeoklboch.sk and mluvmeokloubech.cz. The Dacom Pharma company is a manufacturer of joint nutrition supplements, making joint health the focal topic of the portal - the content focuses on the topic of joint diseases from a wider perspective and deals with topics related to prevention, exercise and a healthy diet. Over the course of two years, we have managed to build an active community of people on Facebook as well as a steadily growing audience. The portal is also a media space for the client, which enables them to continuously promote their products. Content marketing funguje – víme to my, vy i vaše konkurence. Buďte první, kdo ve vašem odvětví využije sílu moderního a efektivního marketingu, vyšachujte svou konkurenci a “ukradněte si trh”. Content marketing works -- we know it, you know it, your competition knows it. Be the first in your industry to make use of modern and efficient marketing power, outpace your competition and "steal the market" for yourself. Send us a brief, an assignment, or just call us and we will suggest an optimal solution. We are ready for a fruitful discussion.